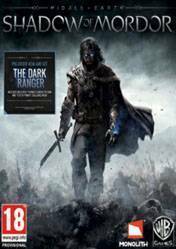 Middle Earth: Shadows of Mordor takes us to the known world of Middle Earth, and in which our hero, Talion, must go through Mordor to destroy the malefactors who killed his family. But into this dangerous journey will not be alonebecause our hero has the help of powerful spiritual world that will provide the skills and unimaginable powers. This is an action game in the third person, which equal mixture swordplay and magic, along with movements reminiscent of the Assassins Creed series. An impeccable graphic display and a huge gameplay await us in this new action set in The Lord of the Rings. Furthermore aspects never before seen in a game, like the Nemesis system, our enemies will remember us so that every encounter with them will be different. This Day One or Day One Edition edition adds the ability to play with the skin Dark Ranger, plus an extra game mode called "Test of Power". Hours of adventure, breathtaking movements and attacks, a complex system of enemies and hierarchies among them, and the amount of powers and abilities that give us our spirit of revenge are just some of the outstanding qualities of this great title. One of the Awesome Game of the year ! If you haven&#39;t got it . Go and get it or else click to get one !